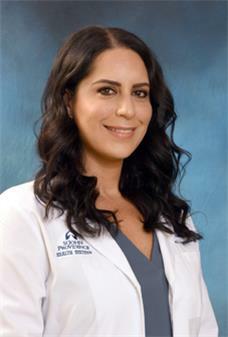 Dr. Dina Kassab specializes in obstetrics and gynecology with a focus on infertility, minimally invasive surgery, general obstetrics and preventative women's healthcare. Dr. Kassab is a graduate of Michigan State University College of Osteopathic Medicine and completed her residency at St. John Macomb-Oakland ... Read More Hospital, Warren, MI. A key message she would like to relay to new patients is that she treats her patients in the wayshe would want to be cared for. This way, she knows that she is providing the best service for her patients. Dr. Kassab's philosophy is that she always makes sure that a patient knows she is listening to their concerns. She takes a systematic approach to address an issue thoroughly and outlines what the patient will expect in the process. She finds that the more her patients are knowledgeable about their condition, the more satisfied they are and will have realistic expectations. In her spare time, Dr. Kassab enjoys spending time with her family and traveling. Her passion is participating in medical missions that help women around the world to receive quality healthcare. Kassab was born and raised in Michigan and is excited about being able to practice in the community. She speaks English, Spanish and Arabic. Dina Kassab, DO offers services at multiple MI locations.